Use the solid state, adjustable thermostat to set the exact temperature from 150°F to 350°F. The heater system reaches operational temperature quickly, and a pilot light indicates when it is ready. A flashing signal ticks off the seconds. Durable cantilevers provide the right pressure every time. 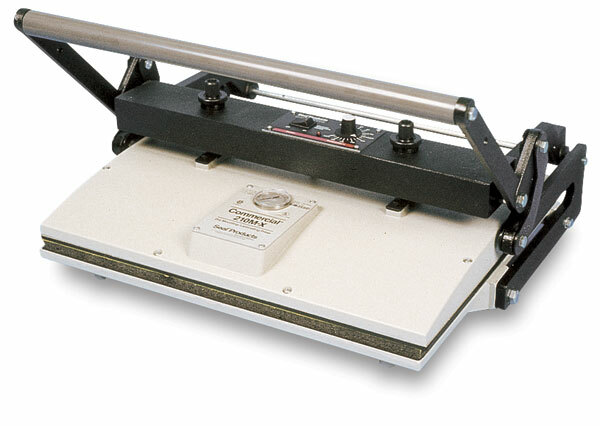 The free-floating platen permits sliding work through the back as well as side-to-side. The Commercial 210M Press has a 3-wire, heavy-duty cord and an on-off switch. Use it with a variety of materials to dry mount, laminate, or reinforce all types of photographs and artwork. It takes pieces up to 36" wide by any length in sections.